This article was prompted after a busy Circular Tong Long class and the post training conversation that turned towards internal energy and the importance of Qigong practices for strengthening the body, increasing longevity, and keeping your Kung Fu power as you age. We spoke about Qigong in general and then very specifically about our SteelBody Qigong Level 1 course running in August. So what is SteelBody Qigong? This is a very specialised style of Qigong. It is also known as Iron Shirt, Iron Jacket, and Golden Bell. There are many schools and methods of training and all have the same end goals of a strong body that is impervious to blows and being able to deliver killing blows if necessary. Our FitLife Martial Arts SteelBody Qigong system is made up of ideas and exercises that have been distilled from five different lineages of Iron Shirt training. These are Grandmaster Henry Sue’s Circular Tong Long Kung Fu, Singapore’s Nam Wah Pai system, Master Anthony Wee’s Chi Dynamics, Master Zhao Shui’s TianDi Qigong, and Jirong Zhang’s Shaolin Iron Shirt methods. SteelBody Qigong is a double edged sword. First, it will definitely enhance your health on many levels. The breathing methods help alkalise the blood and increase the breathing capacity while slowing breathing rates. The standing postures will keep and increase your leg strength, which is something we naturally lose as we get older. The striking exercises to the body improve the functioning of the organs and glands in the body. Bone marrow production is stimulated, the bowels are cleared of waste more effectively, the immune system becomes stronger, skin, muscles, joints, tendons, ligaments, and bones get stronger and much less prone to trauma. There is a general increase in the flow of energy, blood, and body fluids. Stagnation of these is a progression for all of us as we age. “Before 30 you cheat disease. Really, who can afford not to take up these practices? I have trained these methods with people in their 70s! So there are few excuses not to take up this unique and rewarding discipline. Secondly, on the other edge of the sword, are the benefits to you as a martial artist or contact sport player. The ability to hit based on internal energy rather than external or muscular power. The ability to be struck while minimising any trauma. There is the development of a much stronger mind as you call on will power, patience, perseverance, endurance, and courage to complete the training every day for 3 or 4 months. This regularity of discipline develops your spirituality and the transformation into a community minded individual, someone that upholds justice and always fights for the right reason. In our Level 1 course you will learn two standing Qigong exercises, including variations and substitutes, one seated meditation, and eight physical exercises, each with a different focus and purpose. If this training appeals to you then check out more specifics of the Level 1 course here. Payment plans are available. The price includes comprehensive notes, striking bags, Dit Da Jow (medicine for healing after a hard training session), 2 weekend sessions (one to start the course and the other to close it), and 90 minute fortnightly review sessions in between. All the face to face training is held at our full time venue on the Gold Coast. This course will run from August 11 to December 9. Some traditional Chinese martial arts were influenced over time by the principles and philosophies of the I Ching. The I Ching is a text that dates back to the 9th century BC. It is a book of divination and cosmology built around the principles of Yin Yang, the Five Elements, and the Eight Trigrams. These principles can be found in arts like Bagua Zhang and Tai Chi. Chinese Medicine is also thousands of years old and stems from the same principles of Yin Yang, the Five Elements, as well as an understanding of Qi, blood, and body fluids. In Chinese Medicine it is believed your destiny depends on the health of your internal organs. These ideas from the I Ching tell us about the energy of the Universe and how it influences all of Nature, including man. We are a part of the Universe and we a reflection of it. We are always in a state of flux with our Yin and Yang energies, our Qi and Blood, the function of our organs, our changing emotions and mental faculties. Our internal environment is influencing our health, but we can also influence our internal environment. And this is why is an internal practise so important to your health and your success as a martial artist? What qualifies as an internal practice. In martial arts we have external styles (Shaolin Kung Fu), internal (Xing Yi Quan), and half external/half internal styles (Southern Preying Mantis Kung Fu). External styles rely much more on muscle power. The bigger and stronger you are, the better you can be at these types of martial arts. Internal styles rely on internal powers, like Qi and Ging. In this type of martial art the practitioner can be considered small, even skinny, yet somehow still generates shocking power. Half external/half internal styles use a combination of both ideas. Internal practices often require the body to relax and be soft. There is a linking of the way the body moves to produce whole body power while in this relaxed state. Internal arts practitioners will use stationary standing postures and meditative practices to build, store, and mobilise their energy. Often it is hard to understand how great power can be achieved by someone of small stature but as David J. Scwartz says, Capacity is a state of mind. How much we can do depends on how much we think we can do. And as Grandmaster Henry Sue teaches Our mind controls our power output, speed, accuracy. The internal practices are very much based on our mental power as much as our physical. Internal arts place the emphasis on using the mind to influence the body. The outcome of such practices can result in a calmer mind, deeper breathing, maintaining and increasing your strength, mobility, flexibility, developing healthier bones, joints, and muscles, acquiring greater mental clarity and will power, and of course, a longer life. Now if you want to extend the life of your training in the arts you love too, then internal practices like Qigong are a must. In our school we train Kung Fu but also Tai Chi and Qigong. 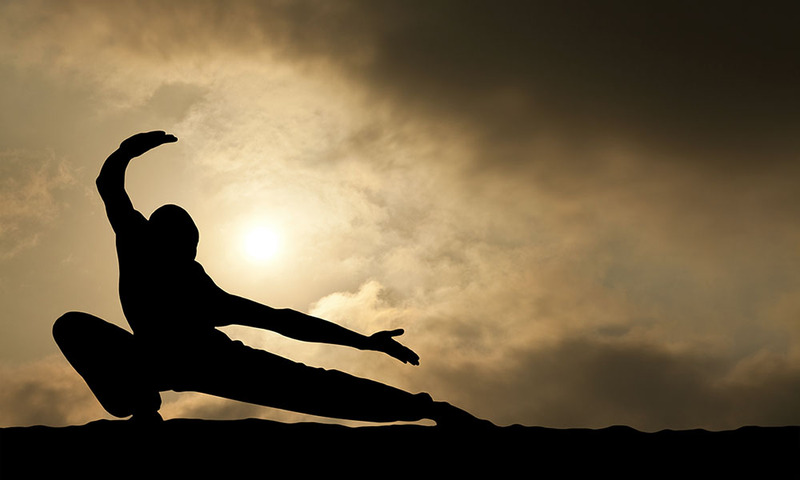 There are many opportunities to increase your martial ability and your physical, mental, and spiritual health at the same time.